Ashkenaz teams up with Small World Music to co-present the Canadian premiere of Israel’s next breakout world music sensation, Bint El Funk (Daughter of Funk). 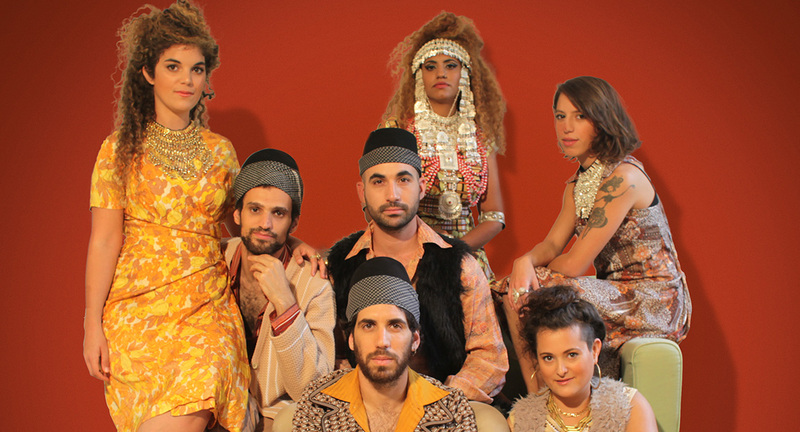 The group combines American-style funk with traditional Jewish Yemenite music, influenced by Afro beat, jazz, Mediterranean music, psychedelic-Turkish music and more. Alongside Yemenite texts are love songs, social protest songs, Bedouin nonsense, and poetry. The group’s performances evoke a tribal party, with sounds, rhythms, colors, and scents uniting in a feast for the senses that connects Sana’a in Yemen, Harlem in the US, and the Shaariya neighborhood in Petach Tikva, Israel. Over the last few years Bint El Funk has built a loyal following at clubs and music festivals all over Israel and is now poised for breakout success on the world stage. This event is presented as part of the monthly concert series by Polyphonic Ground, a collective initiative of 11 Toronto-area presenters of culturally-diverse music.